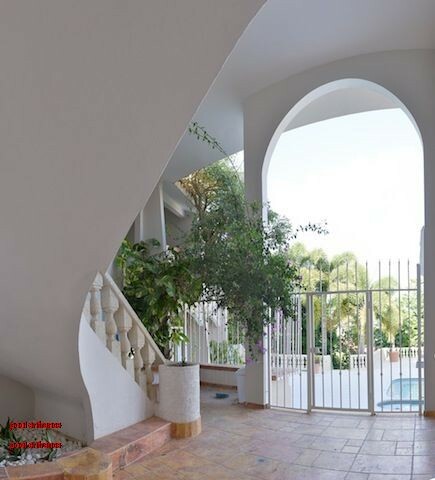 Villa Bellamar is a two story 5000 sq. ft. luxury rental villa in Puerto Rico. This luxury villa offers Caribbean views from most rooms and the pool area. Our Palmas Del Mar Villa has a private estate located hilltop on a cul-de-sac overlooking and close enough to the Caribbean Sea to hear the surf. We encourage comparing Villa Bellamar with other villas in Puerto Rico while making your rental decision. Our villa is located in Ridge Top, the most exclusive area of Palmas del Mar, Puerto Rico. The view of the island of Vieques and the Caribbean Sea is truly spectacular. The villa has all the amenities for a luxury villa vacation. Then when you consider the security and amenities of Palmas del Mar, everything is there to make your Caribbean dream vacation come true. Villa Bellamar has eight bedrooms consisting of six king sized beds, one double bed, futon sofa beds in two bedrooms, queen sofa bed in the apartment, crib, bunk bedroom with a double bed on the bottom and a twin on the top. The master bathroom has a Jacuzzi tub, wall shower and a bidet. The master suite has a private ocean view balcony. The 3200 sq.ft. ocean view pool area has an unheated whirlpool spa, large pool and complete outdoor kitchen underneath a large pavilion. Wireless internet in the main house(password: palmasdelmar). All rooms are air-conditioned. Bunk bedroom shares AC with the gym. 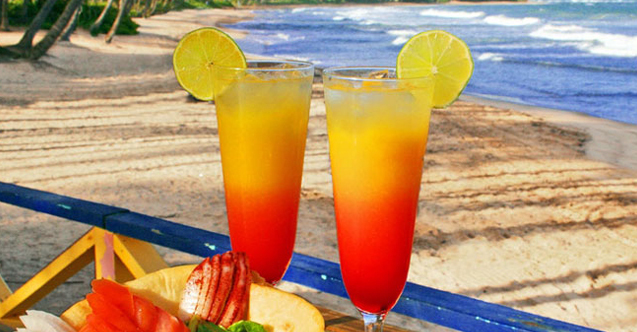 Palmas del Mar beachfront resort community offers something for everyone. Boat charters to nearby islands, deep sea fishing or snorkeling from the marina and yacht club. French, Italian, Asian, Mexican, American and of course Puerto Rican restaurants. Golf, tennis, grocery, bank, spa, salon and shopping. Stables with horse back riding. There is even a Wyndham resort hotel and casino inside this gated secure 2700 acre complex. Golf cart rentals and asphalt golf cart paths to all the resort amenities. No need for a rental car with so much to do here. We can arrange for your airport transfer, golf cart rental and a private chef or catering at the villa. Villa Bellamar's convenient private location allows easy access to the beach and all amenities. For an unforgettable vacation to Palmas del Mar Villa Humancao, consider our vacation rental in Puerto Rico. © 2013 Villa Bellamar. All Rights Reserved. view in gated Palmas del Mar. and 16 restaurants to enjoy.